All business owners should understand how their company’s credit works. This article will give you complete insight on everything found on your Equifax business credit report. Read the whole write-up to learn how to interpret your Equifax business credit file. Plus, learn how Equifax calculates your business credit scores too. Equifax is home to more than 91 million business credit files worldwide. They are one of the three major credit bureaus, existing alongside Experian and Dun & Bradstreet. The business section on their website contains information, products and solutions for 12 different industries. Under the tab, “Business Need,” you will find guidance on many subjects. Two random examples include regulation compliance and information verification. Viewing this part of their website can be confusing though. Aside from the clustered design, there are a mixture of information and resources. Currently, their business section has 149 products and 57 solutions. Some of these products and solutions will apply to your business. Meanwhile, others are relevant to credit-reporting businesses. Equifax is the most overlooked business credit bureau out of the three. Dun & Bradstreet leads the trio, which is obvious as they are exclusively a business credit bureau. D&B is also the only one which business loan issuers typically use when making their lending decisions. Equifax and Experian are generally sourced for judging the creditworthiness of business credit card applicants. Regardless, your Equifax business credit report and score still matter. Many lenders will pull your Equifax file and plenty companies report to Equifax instead of D&B. It’s just the most serious loan providers that typically use your Dun & Bradstreet credit file. As a small business first starting to build credit, sustaining quality Equifax business credit is primitive. All said, each of your business credit reports (and scores) are truly important. You should work to build your payment history and also report any inaccuracies you find on your Equifax business credit report. In time, your Payment Index score will go higher and you will qualify for more business funding options without putting up personal liability. 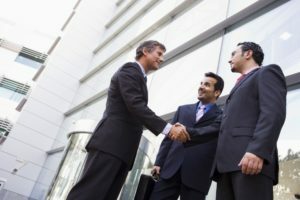 Since there’s no telling which bureau a potential creditor will use, you should definitely make sure your Equifax business credit file stays quality. Your Equifax business credit report contains basic business information, a score summary and report highlights and alerts, plus much more. The following rundown will give you details on what will be found in each of these sections. Here’s a detailed breakdown of your Equifax business credit file. Disclaimer: Equifax is very popular in Canada, but not so well-documented in the US. The sample credit file above is Canadian, so there might be some differences – but it’s a highly detailed resource that every American small business owner will value. Business information. The requestor ID, reference number, reported date, credit report start date and Equifax credit file number. File alert. This section will only apply for businesses with bankruptcies on file. If relevant, you will see the owner’s name and the reported date. Other known tradestyles. Up to 10 other names your company might operate as, other than the legal name supplied when registering your business. Business contact & title. Up to 5 supplied individuals that serve as contacts for your business, along with their designation and the date this info was reported. Incorporation number & effective date. The incorporation number provided for your business when first incorporating, plus your business’s effective incorporation date. Employee size. A rough estimate on the amount of people that work for your company, along with the date this number was reported. Sales volume. An approximate value for the amount of sales, along with the date this figure was reported. Standard Industrial Classification (SIC) code. Your 4-digit SIC code(s) which indicates the industry classification(s) of your business. North American Industry Classification System (NAICS) number. Your 6-digit NAICS number(s) which also indicate the industry classification(s) of your business. Credit Information Score. This metric depicts the good and bad factors found on your Equifax business credit report. Seven variables are brought into the equation to determine a CI value between 0 and 70 – the lower it is, the better. A value of 20 occurs when no data can be found, while a value of 70 means the Superintendent of Bankruptcies has your business on file. Payment Index (PI) Score. This metric is the leading Equifax business credit score. It shows how responsible your business has been with its previous payments. This score looks at the outstanding debts for the 90 days leading up to the credit report request date. Your PI score can fluctuate between 0 and 100, and a lower score is better. PI scores of 0 mean all payments have been made on time. A PI score of 100 means your business has been delinquent on some payments for at least the past 90 days. Commercial Delinquency Score. This credit risk score suggests how likely it is your business will be delinquent on payments, charge off debts or file for bankruptcy in the next 12 months. Your CDS score will run between 101 and 992, with a higher score meaning your business is more likely to run into payment troubles. Business Failure Risk Score. This credit risk score looks at how likely it is your business will close in the next 12 months. Your BFRS score will be between 1,000 and 1,610, and unlike the other three scores, a lower rating indicates a greater risk. Number of accounts reporting. 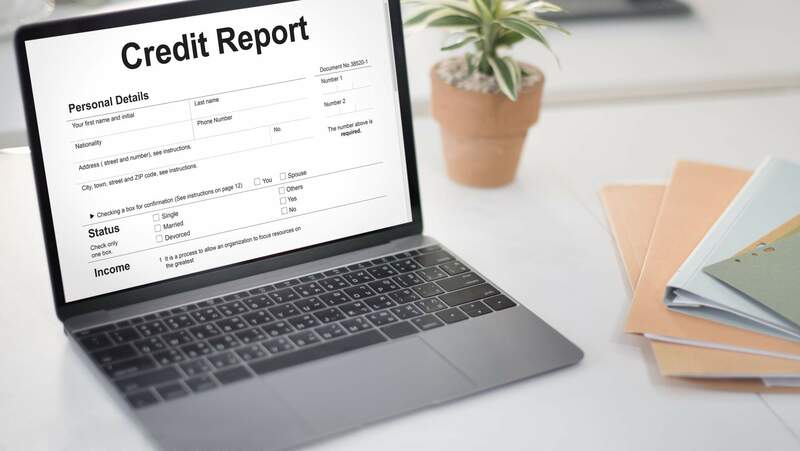 A breakdown of the amount of accounts listed on your credit report, how many are delinquent, the amount of delinquent payments, credit limits and more. Number of charged off accounts. The number of charge offs, their amounts, the largest one and the reported date. Total current credit exposure. The current amount of outstanding debts and available credit, from both open and closed trade lines. Bank report & corporate search on file. The number of inquiries in the past two years, plus the date when a bank report or corporate search was made by Equifax. This section also includes the volume of guarantor-backed trade lines. Utilization rate of your revolving credit. The percent of available credit that your business utilizes through revolving trade lines. The lower your total balance is in relation to your credit limit, the better it is for your business’s creditworthiness. Your fixed credit accounts are also listed in this section. Many other sections will be found on your detailed Equifax business credit file. Take a look below for a glimpse of what else will be covered on your company’s credit report. This section details any other businesses with the same exact name for the principal or guarantor. According to Equifax, this data gets is only generated by name matches. It is not always accurate and often doesn’t matter to lenders. This section explains in detail how your credit scores were calculated. This includes your Credit Information, Payment Index, Commercial Delinquency and Business Failure Risk scores. A trend graph is supplied for each credit score showing their changes over the past nine quarters. You will also find “Reason Codes,” for each section. These codes indicate why the score is justified. This section covers industry trade information. It does not go over data related to your business’s financial trades. You will find an industry trade summary, along with industry trade detail. The summary will look at your industry trade data for different time ranges – the past 90 days, 13 months and 60 months. Each period will include a Payment Index score that’s calculated for that specific time frame. This section features a table which displays advanced information relating to the Score Details data points. No financial trade information shows here. The columns include your Payment Index score, Credit Information score, number of references, total amount, current amount and trend amount (by period). This section contains your financial trade information. Everything reported for any of your financial trade lines will show up here. The section is broken down into two segments. First, there’s the trade details. 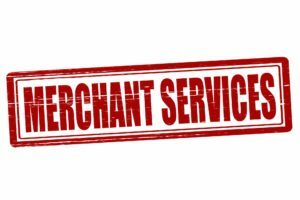 Some examples of data found here include supplier info, reported date, last activity date, start and close dates, credit limits, high credit amounts, scheduled and actual payment amounts, owing balances and amounts past due. A rating will be placed for each of these trade lines. If it says 0, this means it is too new to judge. Any trade line with a 9 rating is considered a bad debt, and it’s likely in collections. An 8 rating means repossession, while a 7 rating means there’s an agreed upon consolidation arrangement in place. A rating of 1 to 5 signifies how quickly a business makes their payments. If you’re always on time, you get a 1 rating. Paying between 30-60 days after the due date gets a 2 rating, 60-90 days is a 3 rating and 90-12 days is a 4 rating. If your trade line is marked with a 5 rating, it’s more than 120 days overdue and soon to become bad debt (9 rating). The second segment details your trade line totals and fixed and revolving credit utilization rates. This section gives details on the guarantor(s) that are included with any of your trade lines. The specific trade line will be referenced. Plus, info on the guarantor is included. This section includes a list of any returned checks, the amount, what reason and the status as of the reported date. Keep in mind this information does not get updated, so it does not necessarily mean the payment was not made some time after the check was returned. This section details any current court cases, judgments or any other legal matters that relate to your business. A great level of detail will be included here. For example, if there’s a court matter some details you will find include the names of the defendant and plaintiff, the claimed amount, the reason for the case and the name and location of the court handling it. Their website gives you the option to directly purchase a copy of your company’s report for $99.95, which includes your Equifax business credit scores. This cost is much greater than what you will incur with Experian ($39.95) but it’s still cheaper than Dun & Bradstreet. You can always purchase all three via BusinessCreditReports.com instead. Using this third-party service will let you get comprehensive reports from all three bureaus for a fraction of the cost. Check their ‘Comprehensive Reports’ page to get an idea on the pricing and what’s included. 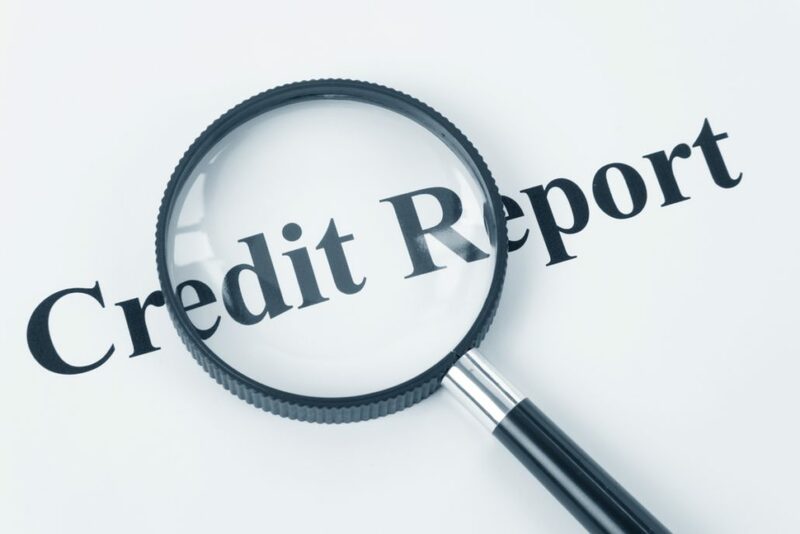 Note: Consumers can receive free personal credit reports once a year through AnnualCreditReport. This service is not open to businesses. The free reports are the result of the FCRA Act, which protects consumers. Equifax is one of the three main credit bureaus that include business reports. Your company’s file can matter when applying for credit cards, loans, etc. You should be trying to build credit at all three of the major business credit bureaus. Equifax is no different. Thankfully their credit scoring models are easy to understand. The key is to get accounts reporting on your Equifax file in the first place. Take some time to learn how to build business credit. Commit yourself to growing and tracking your Equifax business credit score. When your small business can qualify for funding, without personal guarantees, you will be thankful you made the effort.